The 2015 Regional Championship season is drawing to a close. But with an end comes a new beginning, and that means National Championships are starting to occur around the world. This year’s National Championship season is larger than it’s ever been, with more than 100 National Championships across eight games and more than thirty countries! 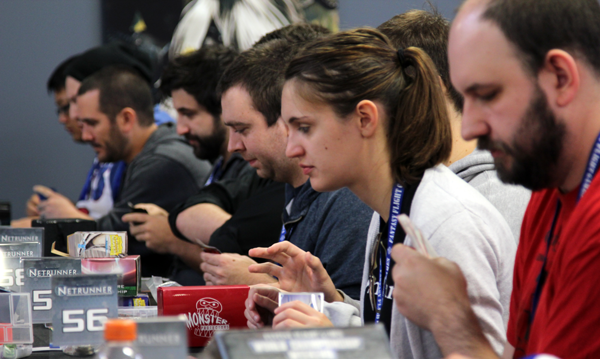 As players start traveling to these awesome events, we bring you an FAQ and tournament rules update. All changes from today’s announcement are effective July 29th, 2015 unless otherwise noted. National Championships mark Star Wars™: Armada’s debut on the competitive scene. There is already a loud buzz about the game in local stores, and we’re excited to see how the game grows and what players bring to their National Championships. While the changes today are mostly small tweaks meant to keep tournaments competitive and fun, that doesn’t mean only tournament players should read the new FAQ and tournament rules. In each document, you’ll find answers to many of the most commonly asked questions and rulings. Whether you’re looking to vie for the title of National Champion or play in the comfort of your own home with family and friends, the updated FAQs and tournament rules offer clarity and structure that will give you a better play experience.